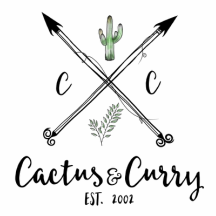 Travel addicts - Cactus and Curry - Get your bloom on! We weren't always addicted to travel. The first eight to nine years that we lived in abroad in Germany, our focus was only on visiting family and not the world. Plus, our kids were little and we just didn't give it much thought. However, it didn't take long before circumstances changed, our kids were older and also began homeschooling that we realized that there is a great big world out there! I mean, come on, we were living in Europe for so many years and barely seen any of it, other than David's on-duty travels! So, we just made a decision and went for it! Last year alone we visited 6 states in the U.S., and 4 countries. And in 2016 we were able to travel to 4 countries in Asia. We love to see, explore, taste and touch all that this big planet has to offer and we see it as an honor to be able to share it in our blogs and social media posts!